Last November I warned that as part of the cycle turning up in war and civil unrest in conjunction with the Sovereign Debt Crisis, we should Expect Riots & Rise of Nationalism After 2015.75 To Pick Up Steam. 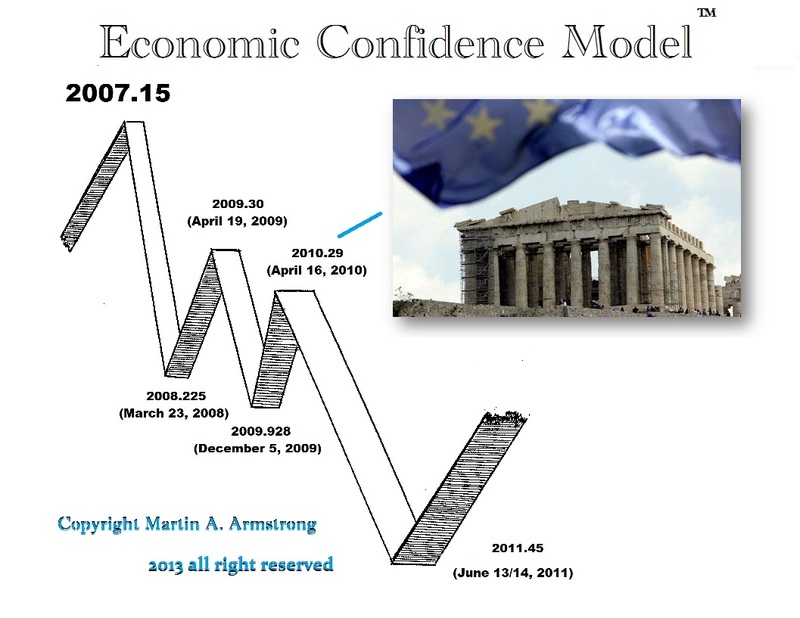 Because Greece is where this cycle began on the Pi turning point from the 2007.15 high in the ECM to the very day, this is where we should look closely for the unfolding of events. 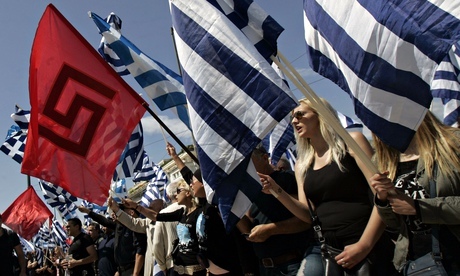 Helena Smith reports from Athens on how Golden Dawn has taken on a sinister new tone in the Guardian. She reports what is going on there and the rising nationalism that people are perhaps associating with the old Nazis of Germany that is confusing the issue for this is a very common human reaction. Yes the Nazi movement went after the Jews. But keep in mind this began as NATIONALISM from the basic street level. We have to analyze this trend carefully and do not confuse it with just anti-Semite. Nationalism is entirely logical during an economic downturn, not that it is right, but rather it is always directed at whoever they see as foreign. Hitler’s political establishment profited from the extermination of the Jews for he got to confiscate their assets at the governmental official level. However, if we set aside the anti-Semite issue from Nationalism, we can begin to see that the issue underlying everything is a common bond that has emerged during economic declines. Nationalism always raises its head every time there is a serious economic decline. Who it is directed at is some minority that is typically considered to be foreign and not part of the society as a whole. Even all the persecutions of the Jews by Spain, England, and France, only took place during an economic decline when Spain was collapsing into a Third World country, and Edward I of England was broke with the war against Philip IV of France who also confiscated the Catholic Church, Italian Bankers, and the Knights Templar. Even the greatest period of Christian persecutions during the Roman Empire took place during the economic collapse of the 3rd Century. Just follow the money. Henry VIII seized the Catholic Church when he was on the verge of bankruptcy as well reflected in the massive debasement of his coinage that gave rise to Gresham’s law. There was the Boxer Rebellion in China, also known as the Yihetuan Movement, that was a violent anti-foreigner movement displaying nationalism when China beginning its decline from being the Financial Capital of the World handing that mantle to Britain. The Boxer Rebellion took place in China between 1899 and 1901 starting with the end of Wave 920 in the ECM.. It was initiated by the Righteous Harmony Society and was motivated by proto-nationalist sentiments and opposition to foreign imperialism and Christian missions. 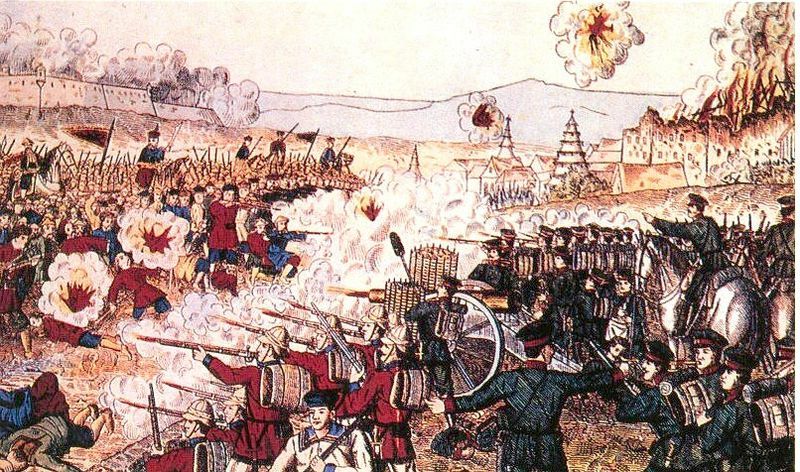 The Great Powers intervened and defeated the Boxer Rebellion, in a humiliation for China actually waging war on their soil against their own people. This would be like Homeland Security going to Europe to put down a revolt in Poland. 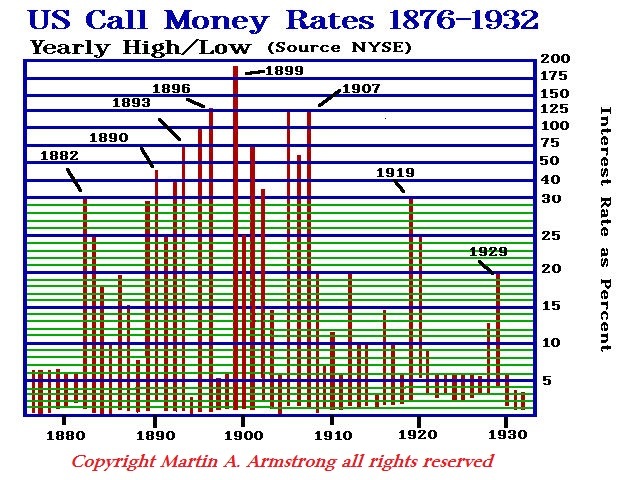 So you begin to put the pieces together in your mind, correspondingly, this was the simultaneous peak in US interest rates at nearly 200% during the Panic of 1899. This was the low in the USA and the beginning of its rise to dominant power against Britain. What we have is a very nice ballet where China has peaked and is losing its economic power to Britain, yet the USA is bottoming and preparing to take the crown from Britain. The timing is interestingly the same. This is why I say the ECM is global, but when one country peaks another is bottoming. After the Panic of 1837 with the massive collapse of the State Banking systems thanks to Andrew Jackson, some states issued bonds trying to support the banks. They too were forced into permanent Sovereign Default. 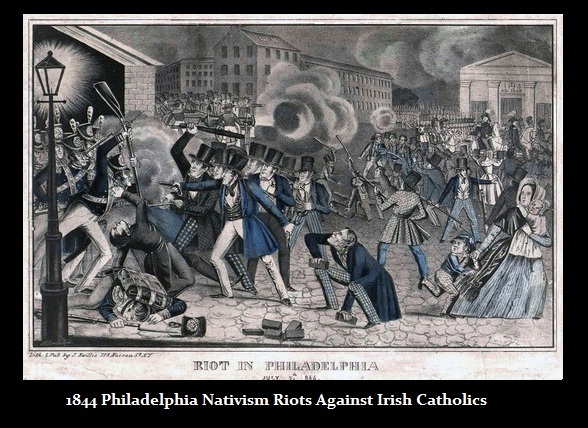 The economic decline resulted in violent riots in the USA that were against foreigners taking American jobs – precisely what we see in Greece today. This is just how things function. Like most conspiracy theories, they try to isolate blame to one thing and that is typically wrong anyway. Just follow the money and look for the common bonds. It does not matter if they are Jews, Arabs, Christians, black, white, yellow, red, or blue-grey aliens from another planet, it is always the same in an economic decline. Whoever is from someplace else suddenly does not belong.